Desilters normally work downstream of a desander, hence the name Supplementary Unit. The hydrocyclones separate solids much finer than sand and the hydrocyclone underflow is dewatered by a high performance linear motion shaker fitted with pre-tensioned fine mesh stainless steel screens. Each unit is equipped with a discharge pump for onward transfer of cleaned fluid. 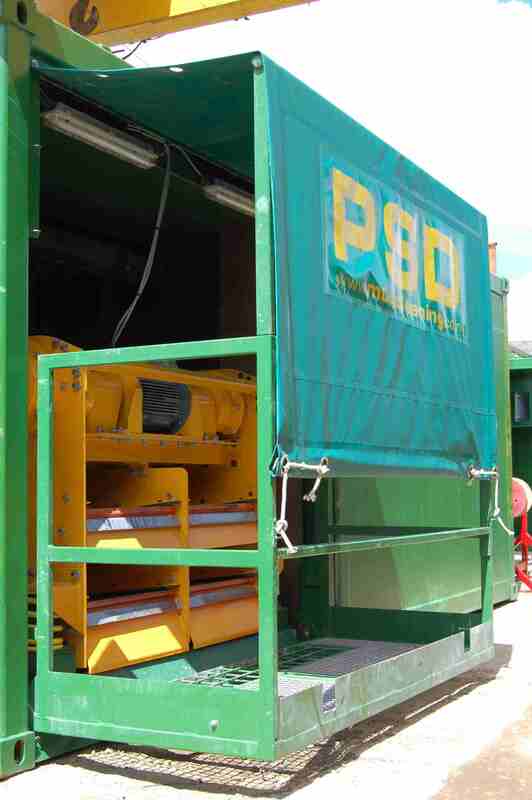 Our newest development is the SU300DP desilter, which uses PSD's very own design of inverter controlled high speed double deck shaker with 12 high performance desilting hydrocyclones mounted above it. Read more about the SU300DP. The double deck shaker allows coarser screens to be used on the top deck and finer screens on the bottom deck, thus increasing the life of fine mesh screens. Our SU72DP ultra-fine desilters offer the very finest cleaning of any high volume rental units on the European market. 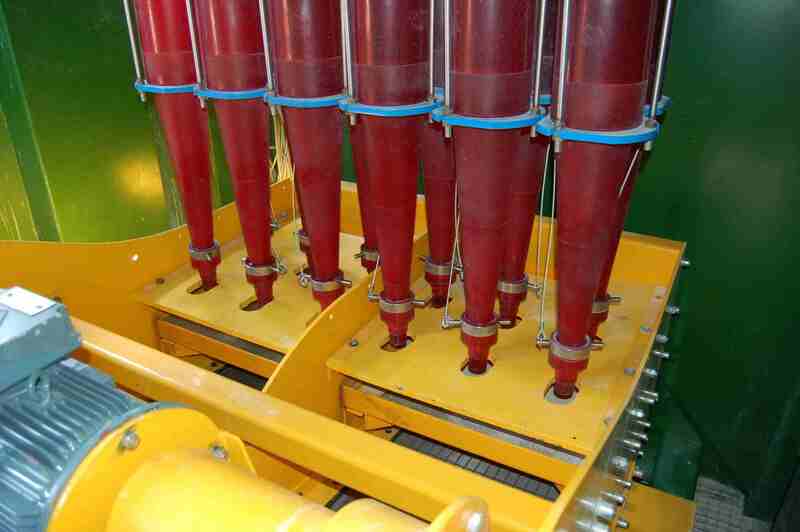 Each machine uses banks of 2” hydrocyclones to separate solids as fine as 10µm at flowrates of up to 100m3/hr. The underflow from the hydrocyclones is dewatered by a high speed linear motion shaker fitted with screens that can be as fine as 300 mesh.